Pocket doors are not only getting a chic makeover in recent years, but they really can be key to solving some design challenges in small spaces too. 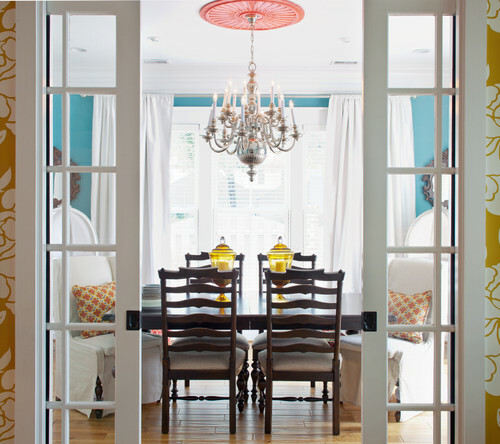 And for the “wow” factor, try a double-pocket door. Pocket doors are those that slide right into the wall when opened. It’s like they were never there. You don’t have to account for a door swing like a normal door, which is a bonus in areas tight on space. Pocket doors are hardly new. They’ve been around for ages. But they did once suffer from an image of looking flimsy and cheap. That’s not today’s pocket door. 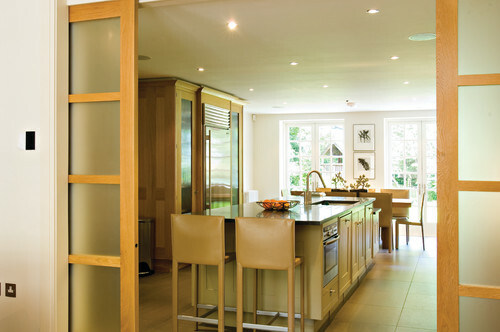 The double-pocket pocket door has doors that slide open from either side, tucking into their corresponding wall. There are many styles to choose from. For example, an all-white French door one with glass window panes allow more brightness and can dress up the doorway even when you want to close off a space. 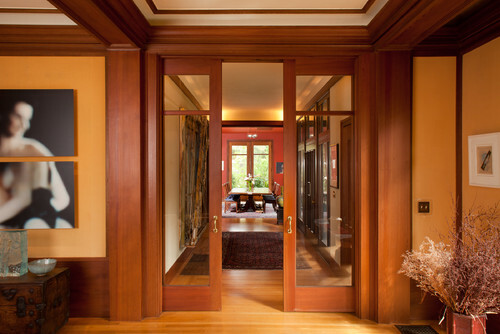 Or, there also are some double-pocket doors that can stretch all the way to the ceiling for some added drama. Pocket doors can be a great solution to section off closets, bathrooms, laundry rooms, or a home’s study. They also can add more privacy to a home with an expansive open floorplan. After all, the one growing gripe from homeowners with open floorplans is that their floorplans at time feel too open. The double-pocket door just may be one stylish solution to help solve that problem. And when the doors are tucked into the wall, you may never even known it was there. Great solutions for an open floor plan. I really like the all-white examples. Great for any design concept! Love the double pocket doors. Still close to open floor plans when pocket doors are tucked. Nice photos. Really a great way to add privacy to open floor plans. I recently stayed at an AirBnB with pocket doors. They were shockingly good at dampening noise and light; I was sharing the space with friends to return to one of our alma mater’s games. What a great way to save space! What’s great are the different pocket door styles that will compliment your existing home style. A lot of homeowners are gonna love this new trending concept. What a way to leave the competition in dust!